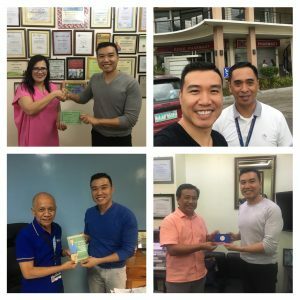 Candon, Ilocos Sur — I started investing in cooperatives back in 2004 when I extended a PhP45,000 loan to a small workers’ cooperative in Cavite. Today, my investment exposure in seven cooperatives is a little over PhP100 million. The Cooperative Development Authority (CDA) defines cooperative as an autonomous association of persons who have voluntarily joined together to achieve their social, economic and cultural needs and aspirations. Cooperative members make equitable contributions to the capital required, patronizing their products and services and accepting a fair share of risks and benefits of the undertaking in accordance with universally accepted cooperative principles. The primary objective of every cooperative is to help improve the quality of life of its members. Profits are used to provide products and services to clients and are equitably distributed among the members. Your investment in a cooperative contributes to local economic development. Cooperatives prioritize providing products and services to its members who are mostly part of the marginalized sectors – farmers, fisherfolks, indigents and microenterprises. How to invest in coops? Most view investing in cooperatives as risky. This is true. According to the CDA, there are only 395 large cooperatives out of the 24,000 registered cooperatives with assets greater than PhP100 million as of 2014. The remaining 98.5% are micro, small and medium cooperatives. More than half or ~55% of registered cooperatives were not able to file financial statements to CDA. This is a basic compliance requirement and fundamental source of information to assess a cooperative’s performance. Knowing these, I still invest in cooperatives. The key is in choosing the select few that have outstanding performance. The first thing I do is to get to know the cooperative. My financing company conducts due diligence through a thorough organizational appraisal where we assess the management capacity, quality of governance, social impact and of course financial performance among others. We apply the same rigor that professional fund managers perform in deciding which stocks, bonds, funds or other securities to invest in. There is no shortcut. Out of the numerous financial ratios we track, here are three that I focus on – profit margin, asset turnover and leverage. The profit margin or net income/sales ratio is a profitability ratio that measures net income with each peso of sale generated. The higher the net income, the better. Asset turnover or sales/assets ratio is an efficiency ratio that shows how assets are used to generate sales. The faster the turnover, the more sales is generated. Leverage or asset/equity ratio is an indicator of solvency that shows a company’s debt used to finance the business. I prefer cooperatives that have strong capital position or those that have lesser debt exposure. In layman’s term profit margin is “patong,” asset turnover is “ikot,” and leverage is “laway.” A cooperative must be able to show that it has reasonable profitability – patong; efficient in utilizing its assets translating to more sales – ikot; and have strong capital position – laway. In my 14 years experience of investing in cooperatives, I consistently get 13% return on equity or kita. The PSEI delivered an average of 12.94% from 2006-2016. That’s a measly 0.06% difference. 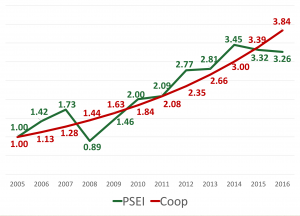 If a million peso was invested in 2006 to 2016, my investment in cooperatives is now worth PhP3.84 million, while the same is now worth PhP3.26 million in the PSEI. I consistently gained positive returns each year in my coop investments. The PSEI, in contrast, fluctuated – meaning there were periods of ups and downs. The down periods set me back which translated to paper losses. In investing, cash is king. I received actual cash dividends and interest payments from my various investment placements in cooperatives. I used the power of compounding interest. I took advantage of the cashflows from profits actually received to be added to my original investment. Financially sound cooperatives give consistent, regular and generous dividend payouts. This is why I have limited exposure in the Philippine stock market. I could hardly find a listed company, even blue chips, that provides consistent, regular and generous dividend payouts. Most of all, personal income derived from coops are tax exempt compared to 5-20% tax rate on traditional investments. Like any other investment, there are risks involved when investing in coops. So it is necessary to be critical when choosing cooperatives you wish to become a member of. If the coop closed due to bankruptcy, can I still get my money deposited? no. deposits are not insured. Hi Carren! How was OIC compared to CFI? Good am sir. Pag maginvest po sa cooperative pwedeng pumunta ka lang and tell them na magiinvest ka po? Or may ioopen ka lang na bank account sakanila? Sir Vince, anung mga coop po ang masasabi nyong matatag this time. Currently I am working at CamSur Multi-Purpose Cooperative here in Bicol. So, I encourage you to look a cooperative near you and be part of it..
Im interested to join… but i dont know how and where??!!! Visit one of many cooperatives near you. Normally may offices po sila sa mga palengke. I’m already a member of a cooperative in Davao City. My question regarding your post is, “what are the ways of investment in coop?” Is it okay ba to be a regular member lang with some share capital, savings and mortuary contribution lang regularly. Or wwhat does it mean when you say you would invest in coops? Is it like putting bigger amount in cooperative fixed deposit or time deposit? Please enlighten me. Check with the Cooperative Development Authority. May i know what is the meaning of investing in coop.? 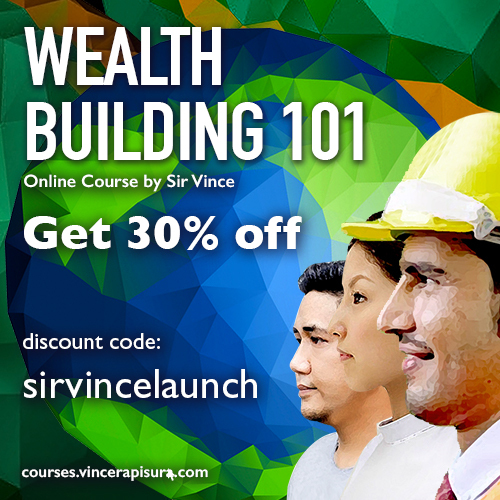 Is it like in stockmarket that you will buy shares? Investing and being a member in coop are different? where to source the financial data /ratios of the cooperative? is it readily available to the public? CDA? I usually get the data from the annual report of the cooperatives I invest in. I also set an appointment with the general manaeger or the CEO to be able to establish relationship. Hi Vince! Like you, my Coop investments also generate more income than my PSEi investment. Would appreciate to know which Coops you think are good to invest at. I already have investments with my company’s coop as well as PERA Coop, OIC Coop and CFI Coop in Cagayan de Oro where I am based. Looking forward to your reply. Thanks and God bless! Hi Carren, Unfortunately, I cannot endorse specific cooperatives due to conflict of interest. I’m Jean and I have been following your fb account/ posts for few weeks now. I’d like to start investing in Cooperatives. Do you have any sugggestion which Coops are doing very well here in Cebu? Please please do reply. Hi Jean. Thanks for the follow. I do not endorse specific coops or other financial products due to conflict of interest.